I have really enjoyed pressing flowers with the kids this Summer, we have quite a collection now. 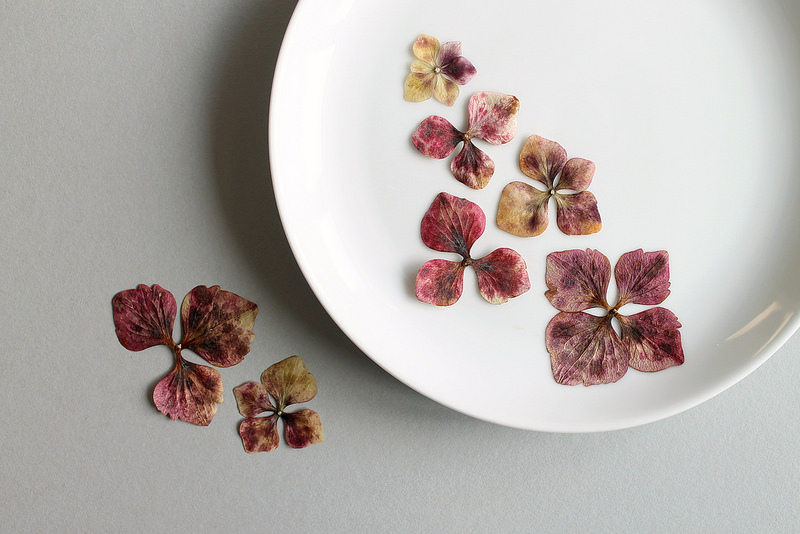 I especially love these Hydrangea blooms with their varying colours, picked at different stages. I wanted to create something where I could display some of the flowers and came up with this Idea for some decorated plates for hanging. I used some cheap white plates I picked up, but this could easily work with some vintage plates too! 1. 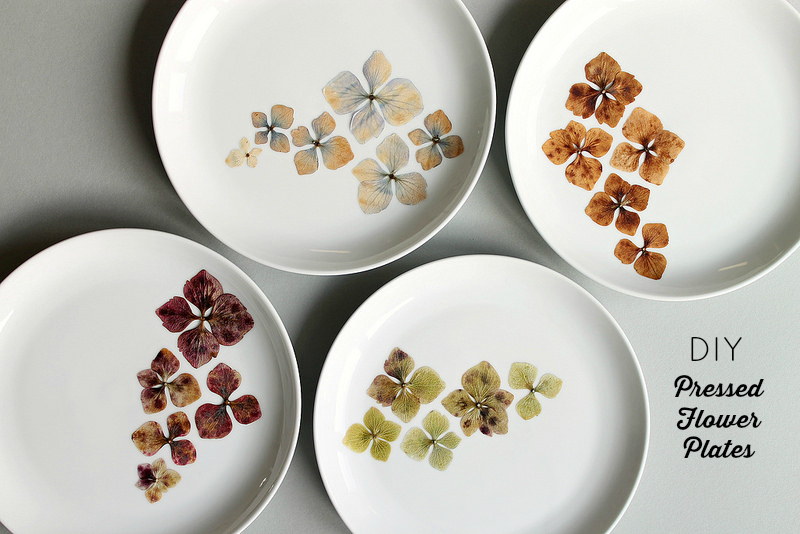 First decide on the positioning of the flowers on your plates. I took a quick picture on my phone once I was happy with the arrangement, so that I could refer back to it whilst sticking them down. 2. 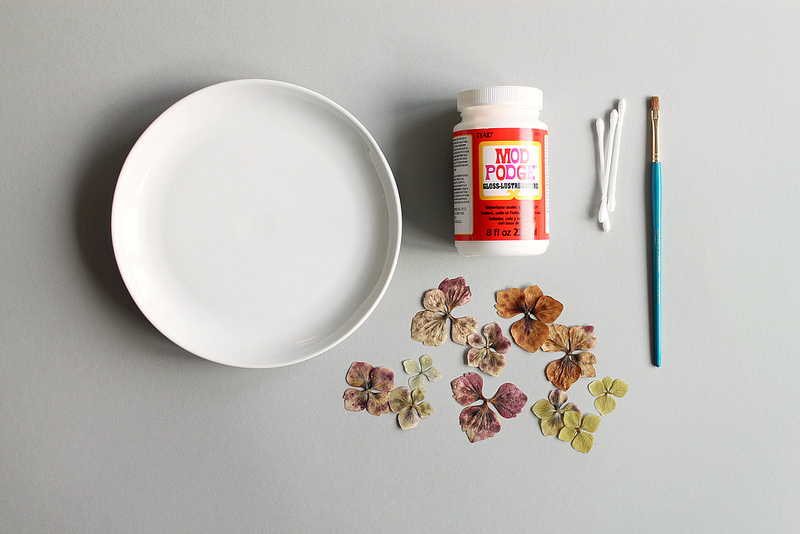 Use a small brush to paint on a thin layer of Mod Podge or glue. Adhere to the plate, gently pressing down the petals. 3. Continue to stick down all the flowers in place. 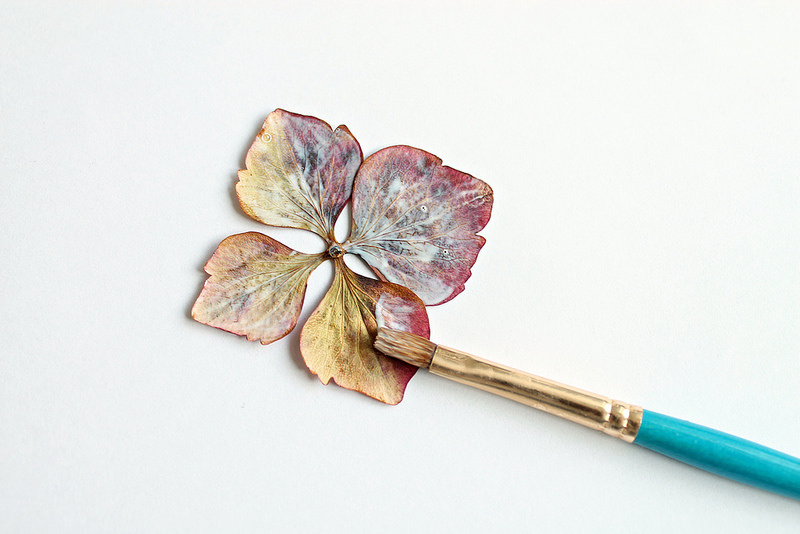 Use a cotton bud to wipe away any excess glue from around the edges of the flowers. 4. Once the plates are complete, use sticky plate hangers to hang the finished plates on the wall! 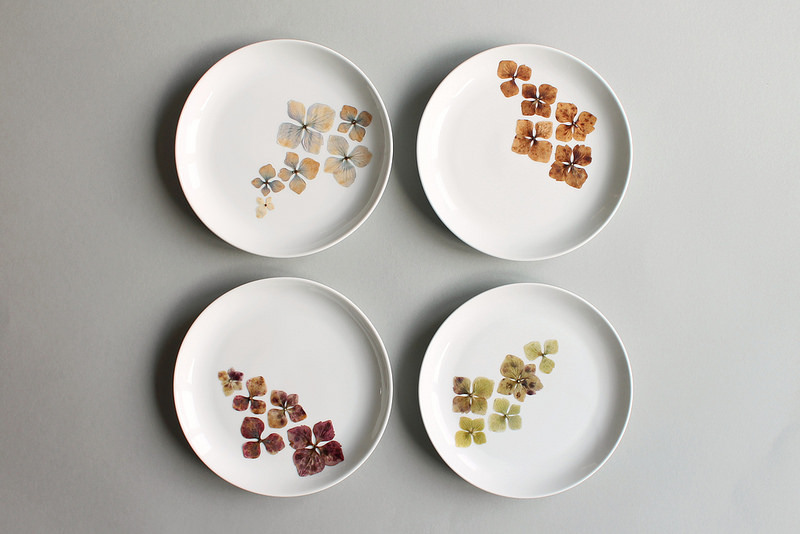 You could try a line of plates running down, or maybe decorate various sizes and colours and hang at random possitions. They are really lovely Caroline. They're lovely, really striking, they'll look beautiful in a group on your wall. these came out really great! 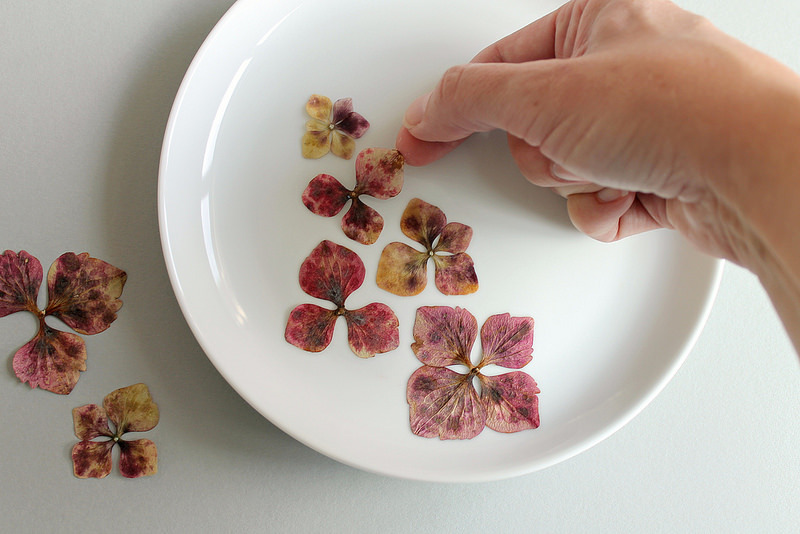 a few weeks back i was inspired by these pressed flower ornaments. Oh that sounds lovely too. I might have to get some clay and try some. Oh my these are beyond lovely - and a great way to carry my hydrangea love flame on into Winter! Wow, these are gorgeous. Found you via Folklings, and so happy I did. What a beautiful blog you have.